I think the yogurt is really key. The thickness of the Greek yogurt provides a nice consistency, and the water loosens things ever so slightly. Mix everything in a jar the night before. The next morning, spoon the mixture into a bowl (or keep in the jar for an on-the-go breakfast) and add toppings! 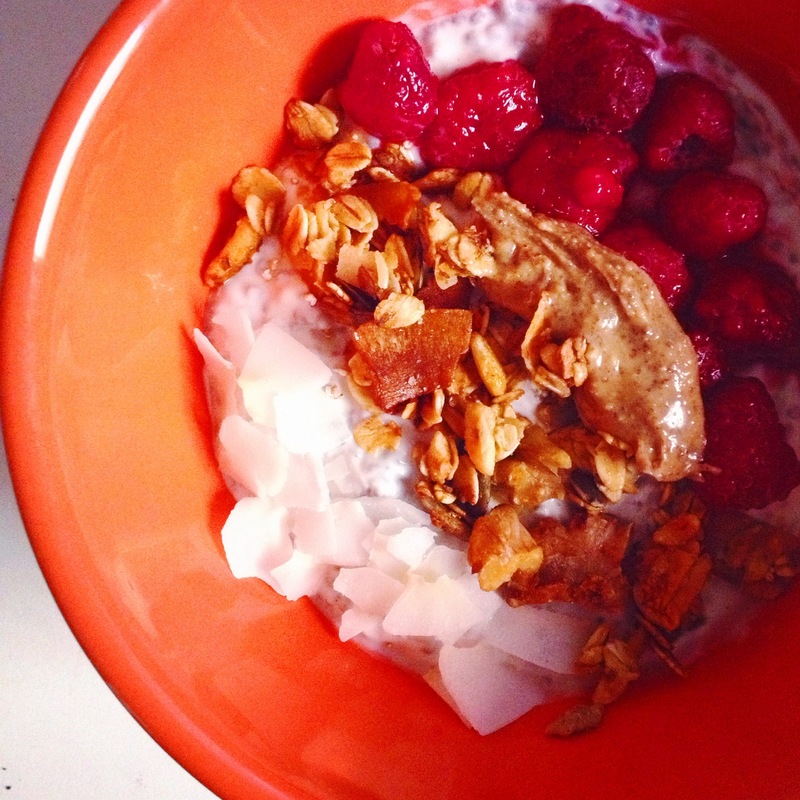 Coconut chips, granola, fruit, and nut butter are my go-to’s. The berries in the picture above were frozen and I heated them in the microwave for 20-30 seconds. Sometimes I toss the berries in when they are still frozen. Different strokes. Last month, I attended an acai bowl class at Sweetgreen taught by Ksenia of Breakfast Criminals. Her class inspired me to start “decorating” my breakfast, and I definitely feel more excited about eating when my bowl/plate looks colorful and pretty. I have been eating variations of my Basic Chia-Yogurt mix for the last month, at least two or three times a week, so I can now say that this ratio has been well-tested and given my seal of approval. Sometimes I use a mix of chia, buckwheat, and hemp seeds instead of plain chia seeds. Change it up. 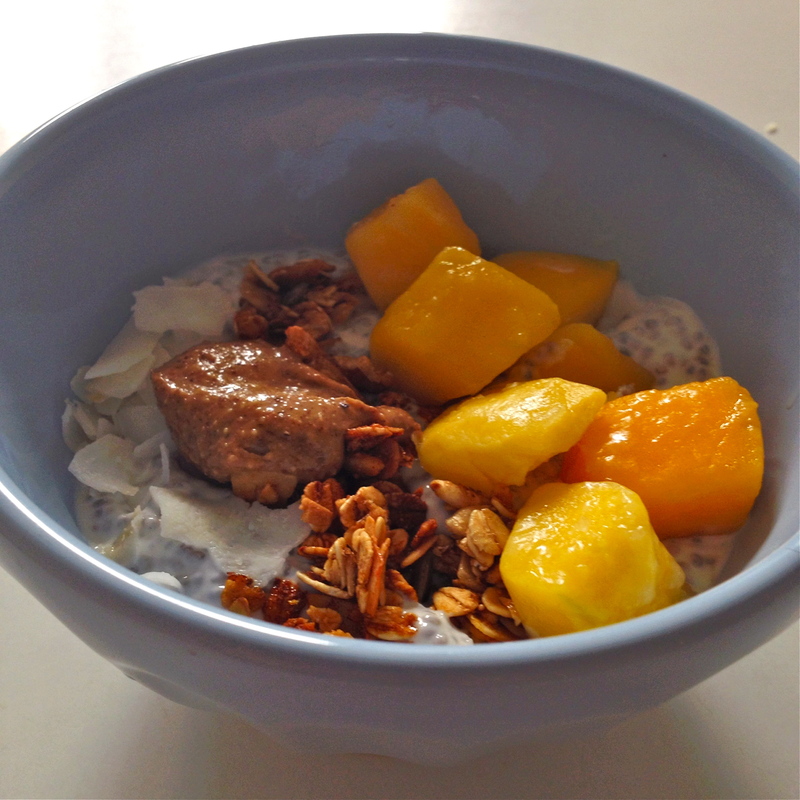 Use the Basic Chia-Yogurt Mix as your starting ratio, then add in whatever looks good. Stir, let it sit for 5 minutes, then stir again and place in the refrigerator overnight. I Made My Own Wedding Desserts!